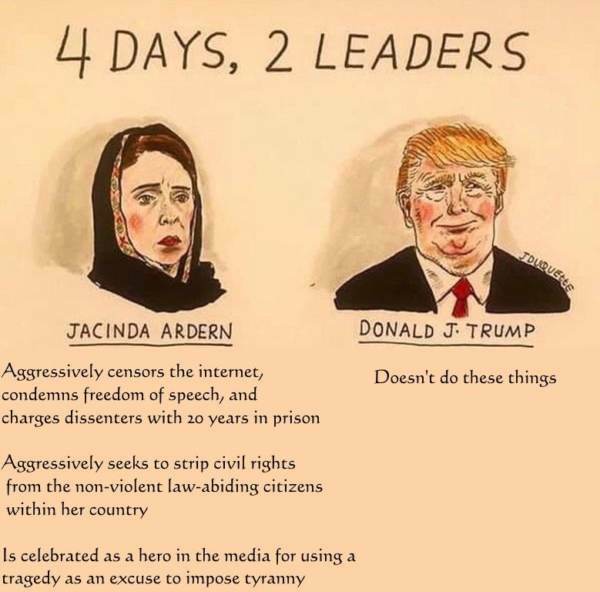 Less than a week after the horrific mass shooting at two New Zealand mosques, New Zealand’s Prime Minister Jacinda Ardern announced on Thursday a ban on all military-style semi-automatic weapons, assault rifles and high-capacity magazines. This was the same prime minister that wore a hijab in solidarity with the shooting victims. It didn’t take long for Democrats to chime in on the New Zealand prime minister’s move. Socialist Bernie Sanders called for ban on the sale and distribution of all assault weapons in the US. Kurt Schlichter has a good response.